Dealing with obstructive sleep apnea can be hard enough for a person to deal with — it can leave them feeling fatigued and unwell on a regular basis. Having type 2 diabetes only adds to the daily stresses of living with chronic medical conditions. If you happen to have two of these health problems, there are key ways that you can treat both of them at once. The correlation between type 2 diabetes and sleep apnea is so common that approximately half of the people living with the former are then diagnosed with the sleep disorder. 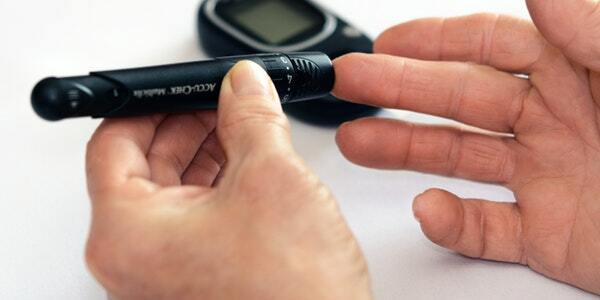 Type 2 diabetes means that the body’s cells don’t respond to insulin appropriately and that its pancreas may not produce enough insulin in general. This is why many people living with the condition take insulin therapy, where they inject the hormone into their system. A healthy sleep pattern is supposed to restore the body so that it can it function properly the next day. One of the main reasons why diabetes and sleep loss is connected is that sleep deprivation forces the body to create the stress hormone cortisol, which prevents insulin from reaching the cells. When someone is living with obstructive sleep apnea, they may go to bed at a responsible hour, but their quality of rest is not healthy. The throat muscles relax throughout the night and momentarily block the airway, causing the person to snore, gasp, choke on air and sometimes startle awake to catch their breath. The blockages stop oxygen from traveling to the brain and prevent the body from fully restoring in time for morning, which is why signs of the condition include daytime fatigue and headaches. Even when they are in bed for eight hours in a row, someone living with this disorder will still suffer from sleep deprivation — this is how obstructive sleep apnea is tied to type two diabetes and makes its symptoms worsen over time. If you are aware that you are living with these conditions at the same time, you should start using a continuous positive airway pressure device to help you breathe throughout the night. 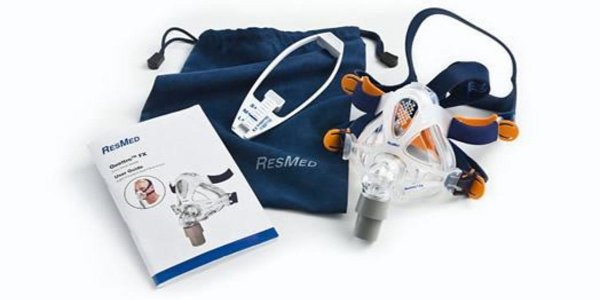 This is an amazing source for CPAP supplies in Toronto carrying devices and accessories from leading companies like ResMed, Philips Respironics, Fisher & Paykel Healthcare, Human Design Medical and Transcend. There are a number of mask designs to choose from to suit your personal comfort and face shape — make sure that it feels good against your face before you purchase it because a poor fit will disturb your sleep. If you want to know more about how you can properly treat your obstructive sleep apnea, you can learn about our CPAP services online or visit one of the many locations in the Greater Toronto Area. Even after you get all of the CPAP machines and equipment that you need to deal with your obstructive sleep apnea, you should still participate in other forms of diabetes treatment. It is imperative for your well-being and for your ability to get a full night of uninterrupted rest. There are a number of distracting diabetes symptoms that will affect your sleep and can’t be fixed with a CPAP mask, like foot pain, restless leg syndrome and numbness in the extremities. Another popular symptom that makes a good night’s rest improbable is waking up frequently to urinate. You should still take doctor-recommended medications, eat a balanced diet, stay physically active and monitor glucose levels to effectively manage the condition. A consistent sleep schedule is often underestimated in terms of health, especially when compared to factors like diet and exercise. Sleep will help the body feel restored in the morning and will keep its hormonal production in check. You will even find that with the right treatment, your restfulness will give you the energy for physical activity and the appetite for nutritious meals.